Tomorrow evening, G-Shock launch their new temporary retail space in the Seven Dials shopping district, simply titled G-Shock West, that will partner their East London location. 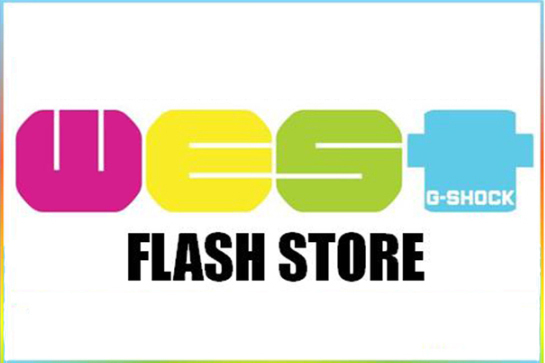 The Flash store opens at 51 Neal Street tomorrow (31st March), and will launch with the watch brand’s new collection for 2011, as well as the latest collaboration with KRINK. It’s been a while since G-Shock have had a physical outlet on the West London streets, closing their Carnaby Street some time ago, so it’ll be good to see it back in a more central location. The G-Shock East store has been a hive of activity over the last few months, with various launch events and in-store sessions, so who knows what we’ll see at this pop-up store over the next few months. It all kicks off with a launch event tomorrow at 17:30. Find out more at G-Shock.